Cape Town – Eskom’s top leadership has gone to Washington to address concerns investors and lenders have about the cash-strapped power utility, Parliament’s oversight committee on appropriations has heard. Eskom executives and board member Neli Magubane were updating the committee on Thursday about the power utility’s finances. Interim group chief executive officer Phakamani Hadebe, chief financial officer Calib Cassim and chairperson of the board Jabu Mabuza are part of the team that has travelled to the US that and win over investors and banks. “Most lenders want to find out how we are going to get out of this place,” Ayanda Noah, group executive of customer services, told the committee. Magubane, who represented the board at the meeting, said the new board - appointed in January - had been “well received” by the public and the investor community. When the board was appointed it was faced with the challenges of improving Eskom’s precarious liquidity position, as well as righting lapses in corporate governance, Magubane said. The board viewed it as a "non-negotiable mandate" to root out financial mismanagement, maladministration and to “entrench” financial business discipline. Noah said new board and executive leadership were dealing with concerns around Eskom’s liquidity and corporate governance as a matter of priority, as these had been repeatedly raised by stakeholders. “The group CEO and CFO, together with the board, spent the first couple of days interacting with bankers, lenders and investors and tried to find ways to close the short-term liquidity issues,” she said, speaking of the first few days after the new leadership was appointed. 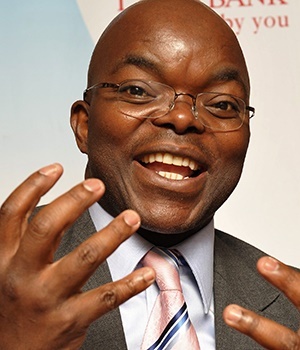 “In speaking to bankers, they said they have money available and are willing to support Eskom,” said Noah. However governance lapses and “no visible” consequences by management for various transgressions were deterring them. Noah said that after the engagements the new board managed to raise R25bn. Eskom raised a total of R57bn for the financial year ended March 31, 2018. Its board recently approved a R72bn borrowing plan.